I took my team on a team building exercise and, as a gesture of thanks since they know I like port, they gave me a 1 litre bottle of Cockburn's Special Reserve. A gift from my team at work. Mid red, with good depth of colour; pleasant raspberries and cranberries. Neutral impact, but a lovely flavour quickly develops and dominates the palate - masses of fruit, perfect acidity and a touch of soft tannin. Medium- to light-bodied, but very flavoursome. Soft aftertaste, leads to a long finish of dry cranberry and dark chocolate. Very impressive, and much better than it was on opening. 86/100. Drunk on 15 September, after being open for 6 days. It seems that CSR is back up to the level of quality it used to be! Quite delicious. I wonder if the take-over has had an effect on the blend of this Port? 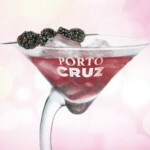 JacobH wrote: I wonder if the take-over has had an effect on the blend of this Port? I think the entire production process at Cockburn has changed since SFE took control of the vineyards, wineries, blending and bottling.